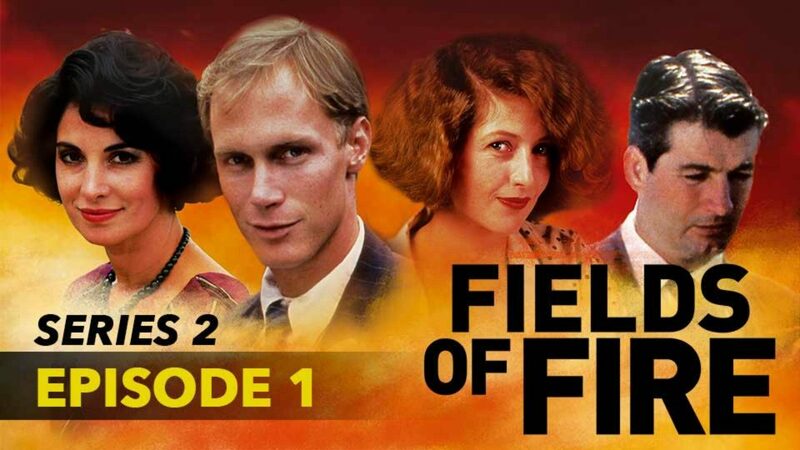 Continuing the dramatic Australian saga set in the North Queensland cane fields, Fields of Fire Series 2 picks up in 1947, a time of growth, prosperity and adjustment to post-war living. On-going friction between the increasing migrant population and their suspicious Australian counterparts leads to community unrest. When Kate (Anne Louise Lambert, Picnic At Hanging Rock) is set to marry her sweetheart Franco (Joseph Spano) it sparks a newfound intolerance to the idea of mixed race relationships. Featuring John Jarratt, Peta Toppano, Melissa Docker, Kris McQuade, Gosia Dobrowolska, Harold Hopkins, Ken Radley, Patrick Ward, Paul Bretram and Nicholas Hammond, Fields of Fire series 2 captures an intensely dramatic era of Australian cultural change that helped shape the nation.